I can't imagine a more deserving cartoonist right now in terms of our attention than Malaysia's Zulkiflee Anawar Ulhaque, who works under the pen name Zunar. As he so ably describes below, his off-and-on struggles with censorious factions within his own country came to a head this year with the banning of multiple books, the disruption of a new book launch, sedition charges threatened against the cartoonist, and a general atmosphere of intimidation and influence pressed not just against the Zunar -- who simply isn't having it -- but on potential business partners. I consider his matter-of-fact resistance against these pernicious actions to be heroic, and admire the consistency with which he continues to assert his rights as an artist and his role to be a watchdog over the activities of his government. TOM SPURGEON: Zunar, as of today, what's the status of the legal battle facing you? When is your next appearance in court and what does the immediate future hold? ZUNAR: For readers' information, I am a political cartoonist from Malaysia. I have been drawing cartoons for the past 20 years. My works mainly appear in Malaysiakini.com website. Here is the link. My work focuses on the popular issues in Malaysian politics such as the murder of Altantuya, the conspiracy against ex-Deputy Prime Minister Anwar Ibrahim, racism, corruption, waste of public funds, among others. Last June, three of my political cartoon publications, 1Funny Malaysia, Perak Darul Kartun and Isu Dalam Kartun were banned by the Malaysian government. The government claimed that "my cartoons can influence the people to revolt against the leaders and government policies and detrimental to public order". On August 2010 I failed a writ to challenge the banning, and have obtained a "go ahead" from the court. The hearing has been set on 10th of March 2011. SPURGEON: We haven't e-mailed since the extraordinary events surrounding your September book signing, where you were warned, accosted, then detained, with your books seized, and your wife appeared in your place. Now that you've had a couple of months to process those events, what do you find most remarkable or noteworthy or even upsetting about that specific situation? ZUNAR: On the 24th of September 2010, ten police officers raided my office in Brickfields in Kuala Lumpur and seized 66 copies of my latest cartoon book, Cartoon-O-Phobia. Subsequently, I was arrested and jailed for two days over the publishing of the book. On top of that, I was investigated under the Sedition Act, which carries the maximum three-year jail if found guilty. I was released on bail and might be charged any time. On the latest development, my lawyers and I are now finalizing the documents to sue the Malaysian government over the incident on the grounds of "unlawful detention." I am also seeking a court order for the authorities to return all my seized books. SPURGEON: Is it true that you went into hiding after incident? Are you still laying low? If I may ask, how are you and your family and friends personally dealing with what you're facing? Has it taken an emotional toll? ZUNAR: That is not true. Immediately after I was released, I went to Bali to visit the Indonesian Cartoon Museum. That was a pre-planned official visit since June 2010. Unfortunately, some people interpreted it as 'hiding.' I would like to clarify that I will face the consequences. I am responsible for my cartoon and I will stand by it. My family, especially my wife is 100 percent behind me. In fact their support is my strength. SPURGEON: One thing that a bunch of my site's readers have commented upon during this phase of your ordeal is how much they've enjoyed discovering your work on-line. Who are your influences? Who do you consider your peers, perhaps at home or even internationally, in terms of doing the same kind of work that you pursue? Are there cartoonists or satirists that you admire? 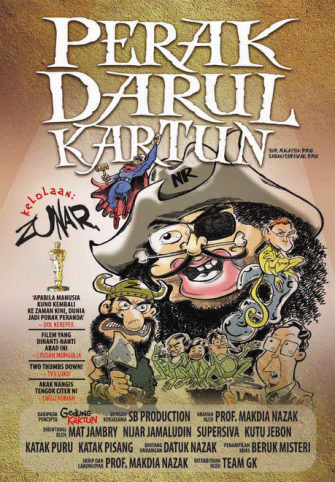 ZUNAR: I read and study the works of many local and international political cartoonists. I admire most of them, but to be specific I am most inspired by Thomas Nast. SPURGEON: While we have access to the occasional article from a rights organization or press people that have come out in support of you, it's hard to discern the breadth and depth of that support on the ground. Who are your supporters locally and nationally? Do you have any sense where public opinion lies in terms of your struggles with the government? Are there areas of society from which your issues draw more support than from others? ZUNAR: As mentioned above, my subjects are based on popular public issues in Malaysia. However, in terms of reporting, these issues are purposely being "blacked-out" by the government-controlled mainstream medias. 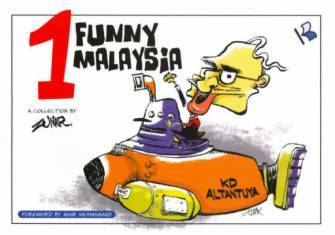 With that, people in Malaysia turn to alternative media, which include my cartoons. Based on feedback I received from fans/supporters via emails and mobile texts, they liked my cartoons because my cartoons are funny and sharp. Most importantly, they told me that my works touched on the issues that are being discussed by them everyday. The only setback is that they cannot draw. SPURGEON: Have 2010's events had an effect on you vocationally? Are you still in business, still making art, still selling books and t-shirts and magazines? Or has that slowed down or even stopped? ZUNAR: When the government banned my publication, they also took action on the printers and distributors. The printers and distributors have been warned not to sell or print my books. That is the major problem and setback I am facing right now. So, with nobody who dare to print and sell, it affects my business greatly. I had to close down my operation and downsize the office and staffing. But I am still producing cartoons for the Malaysiakini website. However, the online sale is still going on though limited to internet users. I need to think of a new strategy to publish my future books. Nonetheless, I will keep drawing until the last drop of my ink! SPURGEON: Forgive me if I'm misunderstanding this, but is it true that much of the work that has been objected to in print form was already seen on-line? If so, why do you think this is? Is it just that these censorious forces aren't sophisticated enough to see it on the Internet. Has there been a political change that has cast your work in a different light? ZUNAR: Yes, it is true that most of my work in my books can be seen on-line. I think they are not worried about my on-line works because there are still many people in Malaysia who are not accessible to the internet, unlike the hard-copies which can be easily obtainable from the stores. That is what I think the reason why they try to prevent the sales of my books. SPURGEON: There's a long history to your work running afoul of officials; is there something in your nature that you feel it's important to fight these battles, or do you feel more like an artist that is merely trying to express himself? How comfortable are you with the national and international attention this has brought? ZUNAR: Currently Malaysia is facing a moral crisis in which corruption has become some sort of a culture, a judicial system which is controlled by politicians, to name a few. The social gap between the poor and the rich is getting wider each day. 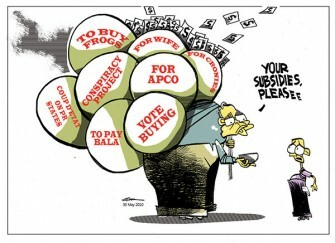 Those in power only have their personal interests in mind and neglect the interests of the people. The 13th Century poet Dante Alighieri once said in his Divine Comedy: Inferno: "The hottest places in hell are reserved for those who in times of great moral crisis maintain their neutrality." Hence, as simple as that quote, I have to take a stand and take the risk to fight for a change. Drawing cartoons is a fight for justice. How can I be neutral, when even my pen has a stand? My intention is to give the correct perspectives and information to the readers. To me, it is a duty for any political cartoonist to be a "watchdog" to the authorities and to represent the voice of the people through art. SPURGEON: If a person were interested in your seeing justice, what would be the best thing to do? Could you use more customers at your on-line store? Is there a specific embassy or agency a person could contact registering their support? Is there an organization we can support that is perhaps more directly and effectively supporting you? ZUNAR: There are many ways to help. Recently, Paris-based NGO, Reporters Sans Frontières purchased 75 copies of Cartoon-O-Phobia in order to relieve me from my financial difficulties. Last week, Cartoonists Rights Network International (CRNI) initiated a petition urging the Malaysian government to drop all charges against me and to allow my books to be printed and sold freely. I really appreciate their effort and kindness. For those who wish to contact me, the best way is through email: since I still do not have a proper organization that I can be associated with. SPURGEON: How encouraged are you about the days ahead, about 2011? 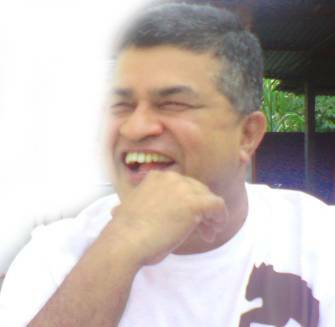 ZUNAR: I am looking forward to go international. I am thinking of drawing international or regional subjects to cater for wider audience. That way I will not be too dependent on the government's actions and law in Malaysia. Sir, we send all our greetings and assure you of our full cooperation and support. We are an international NGO working in the field of free speech and human rights, protecting the rights of editorial cartoonists who find themselves in difficulties because of the impact of their professional work. We represent hundreds of the leading editorial cartoonists from all over the world. 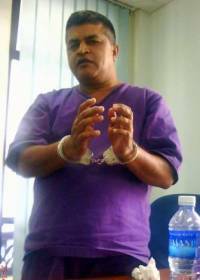 It has come to our attention that on the 24th of September, 2010 Malaysian cartoonist Zulkiflee SM Anwar "Zunar" was detained for two days and now faces possible charges under the Sedition Act because of his publishing a carton book titled Cartoon-O-Phobia. Previously, his other cartoon books have also been banned. His printers and distributors have been warned not to sell or print his books. He still risks being charged with "sedition". Because of Malaysia's excellent record as a strong defender of democracy, and recognizing Malaysia as a friend of free speech and personal liberties, we find it contradictory that Mr. Zunar's rather pointed yet affectionate cartoons would be thought to encourage sedition. They rather encourage accountability, transparency and are really very powerful anti-corruption devices. Anyone fighting against these political qualities cannot be for democracy and must be for tyranny. We understand that during US Secretary of State Clinton's recent visit she was assured of Malaysia's good faith in adhering to basic human rights assuring fair and independent trials. I have personally reviewed Cartoon-0-Phobia, and I find the cartoons, while politically embarrassing to some important people, speak so much more strongly for Malaysia's recognition of the important of free speech in a healthy democracy. Censorship rears it's ugly and futile head when states start to fail and leaders begin to fear their own inability to govern. Healthy democracies have nothing to fear from criticism. Based on our 20 years of experience working with cartoonists under pressure we feel that censoring Zunar's work is counter productive to Malaysia's best interests in the region. On behalf of all of our interested political cartoonist members and clients, we respectfully request that the harassment of Mr. Zunar, and all charges against him are withdrawn. 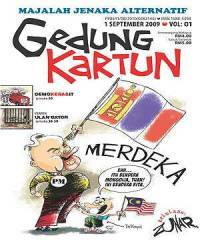 We further recommend that his cartoon books be allowed to be printed freely and distributed with no restrictions, a policy that will represent Malaysia's openness and trust in the democratic process. Please also note the attached copy of our universal petition for free speech, signed by the top American cartoonists and then also hundreds of international cartoonists, human rights workers and common citizens.